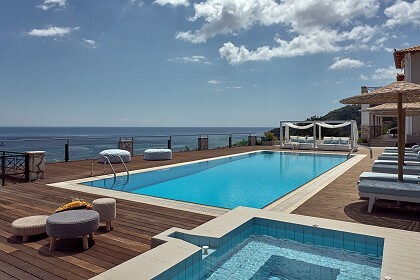 The Vatia Villas complex consists of two amazing villas located in the quiet area of Tragaki village, on the northeast of the island. 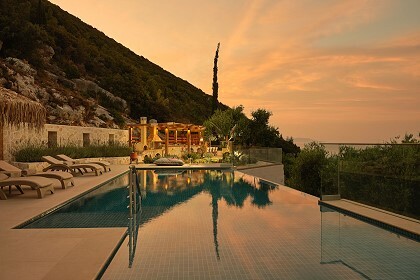 The villas are built on a hill overlooking the mountains, the Ionian Sea and the neighboring Kefalonia Island. Guests will want for nothing as they are fully equipped with modern facilities and appliances. Families with children, groups of friends and couples are welcome to enjoy a relaxing and comfortable vacation in beautiful surroundings. The villas: Vatia 1 and 2 are similar and feature two bedrooms, one with a double bed and one with two single beds that can be joined as one, a balcony in each bedroom, a large bathroom and a smaller one, an open plan kitchen and living room area with a sofa bed that turns into a double bed and spacious verandas all around offering beautiful views of the sea and the surrounding olive groves. 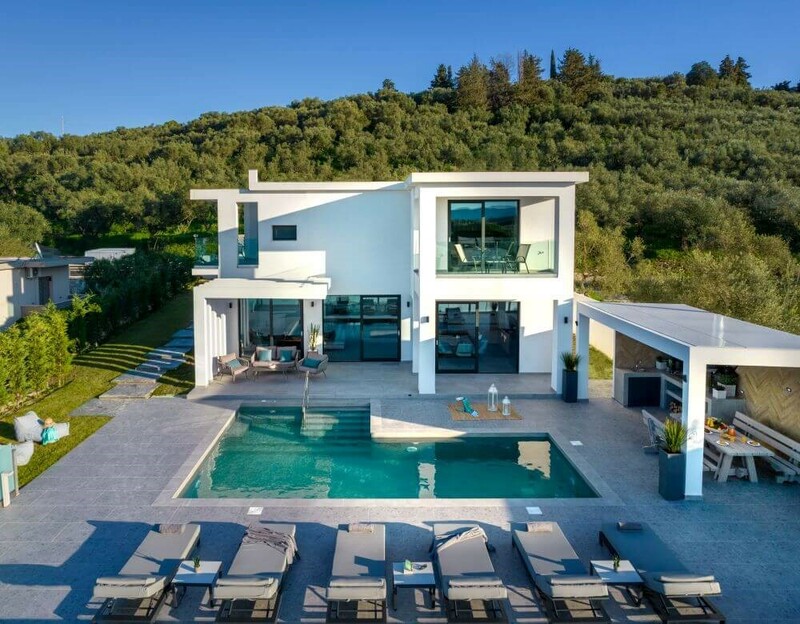 Outside you will find a private swimming pool, a BBQ area and an underground garage. Villa Vatia 1 also features a children’s play area. 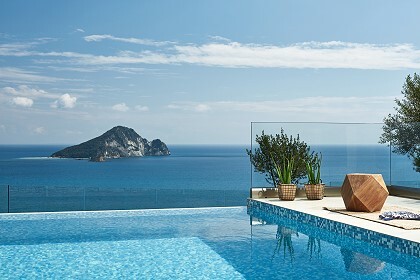 Each villa is suitable for up to 6 people. 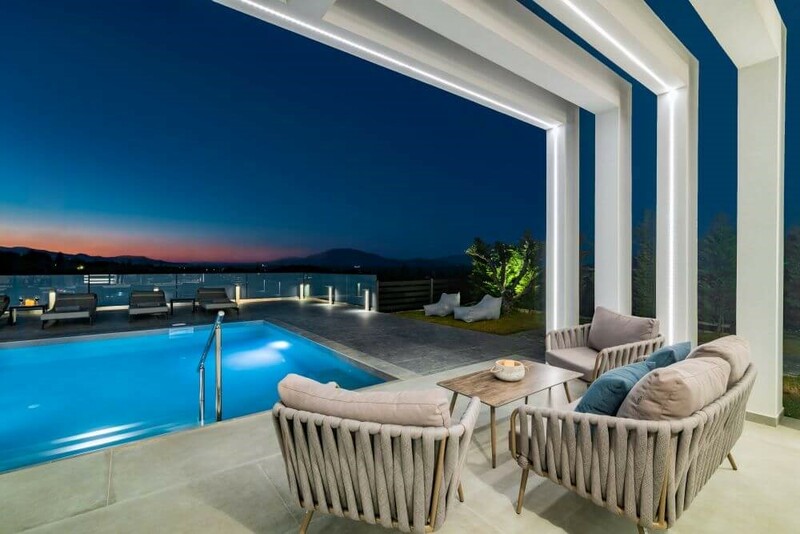 The Vatia Villas are located in the quiet village of Tragaki, just 1.5 kilometers from Tsilivi tourist resort where you can find many shops, restaurants, bars, tavernas, a water village, children’s play areas and more. 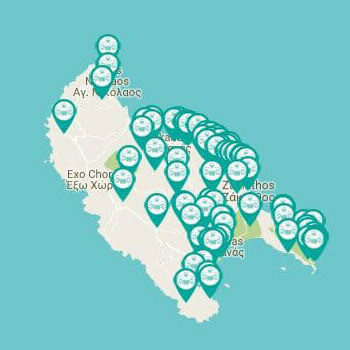 The nearest beach is Gaidaros beach at 2.5km distance. If you are looking for a change of scenery, head down to Zante town, the capital of the island and spend your day on the pedestrian shopping road, visiting museums and churches or enjoying a drink and a snack by the port or in the historical squares.